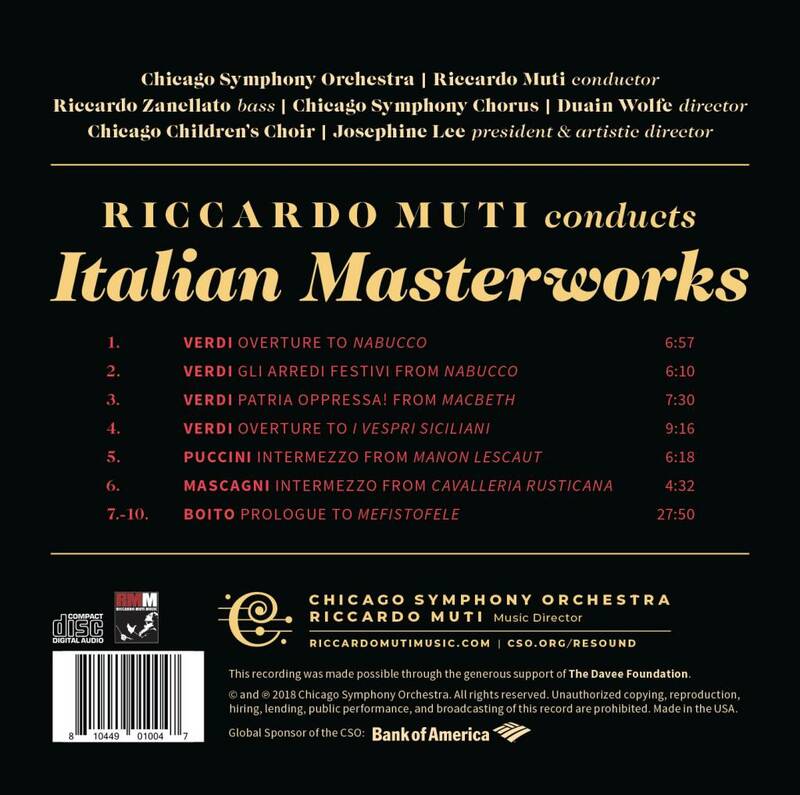 Now available on CSO Resound: overtures, choruses, and intermezzos drawn from masterworks by Verdi, Puccini, Mascagni, and Boito, brilliantly performed by Riccardo Muti and the Chicago Symphony Orchestra and Chorus. Muti has presented these works numerous times over his career, including countless performances during his tenure as music director of the Teatro alla Scala in Milan. The performances heard on this album were presented as Maestro's final concerts of the 2016-17 season. This album presents a virtuosic showcase of nineteenth-century Italian music in all its passion, joy, and heartbreak. Produced by David Frost, winner of sixteen Grammy® awards, most recently in January 2018 for Classical Producer of the Year, this release spotlights the magnificent connection between the Chicago Symphony Orchestra and Maestro Muti. This recording was made possible through the generous support of The Davee Foundation.